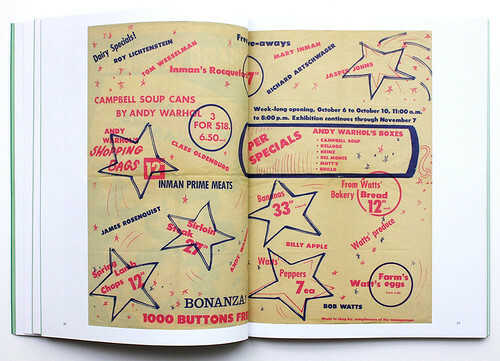 Graphic designers collect all kinds of ephemera, from boxes crammed with flyers to pinboards covered in cards and clippings. The latest book from Occasional Papers – the imprint founded by designer Sara De Bondt and curator Antony Hudek in 2008 – is a testament to this impulse, writes Elizabeth Glickfeld. Please Come to the Show, which originally accompanied a 2013 exhibition of artists’ invitations at the Museum of Modern Art (MoMA) in New York (and later travelled to Liverpool’s Exhibition Research Centre), shows a selection of artists’ announcements of their shows from 1960 until now. The book’s title, a cordial succinct imperative, comes from the editor, David Senior, bibliographer at MoMA. His favourite keepsake is an unassuming piece of paper from 1962 with the Croatian words ‘IZVOLITE PRISUSTVOVATI’ (‘Please attend’) printed on a light grey rectangle within a black frame and nothing else. 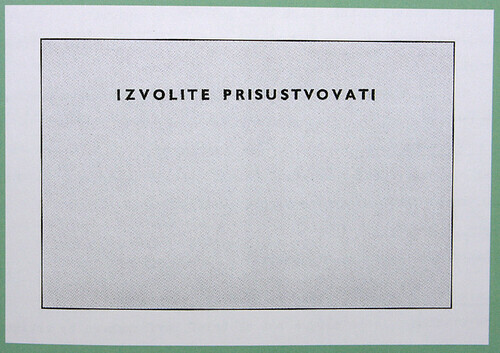 This minimal invitation was an open-ended, mischievous gesture from the artists’ group Gorgona in Zagreb. 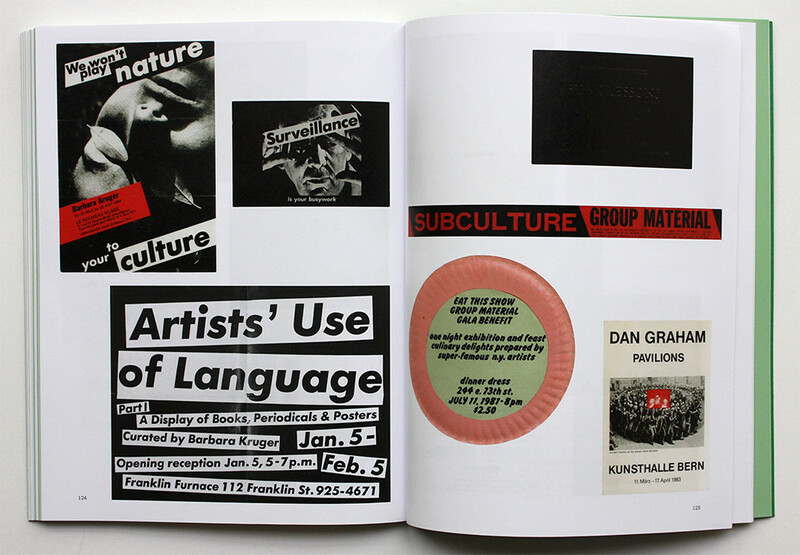 Top: Invitations for exhibitions of work by Barbara Kruger in 1982 and 1984; Adrian Piper, 1982; Group Material, 1981 and 1983; and Dan Graham, 1983. The MoMA exhibition ran concurrently with an exhibition of work by Claes Oldenburg, and the early invitations in this book provide traces of the sculptor’s 1960s New York milieu. The reader is treated to the way in which a generation of artists such as Christo, Yves Klein, Jean Tinguely and Andy Warhol promoted their work in a time before they were incorporated into the fine-art canon. Andy Warhol exhibition at Stable Gallery, New York, 1962. The 1960 starting point is important because it marked a new development in Modernist self-reflexivity. If a hundred years earlier, according to Michel Foucault as cited by Hudek, Edouard Manet’s ‘Le Déjeuner sur l’herbe’ was the first ‘museum’ painting that was ‘produced … in a self-conscious relationship to earlier paintings and texts’, the mid-twentieth century saw artists expand their focus to include the wider apparatus that supported, propagated and mediated their work. 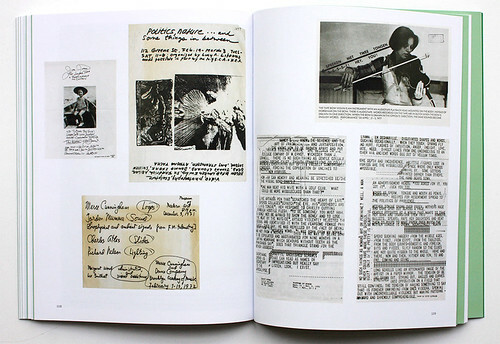 They blurred the distinction between primary and secondary information, using books, magazines and invitations as opportunities for intervention, play and direct encounters. 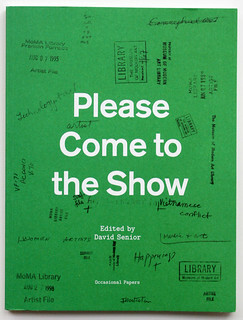 In this spirit, the design and editorial perspective of Please Come to the Show deftly stages its own theatre, attempting to offer the reader a first-hand encounter with the material. The captions to the flyers, for instance, are consigned to the back of the book, leaving the reader to navigate them unguided. Senior himself describes the exhibition as the result of the ‘very physical activity of sorting through roughly 120 boxes of unprocessed materials’, while the seven essays in Please Come to the Show also tell stories of personal encounters with the ephemera. Accordingly, the flyers themselves are displayed showing the traces of human hands, time and the postal system – they have been thumbed, pocketed, folded, annotated and addressed. 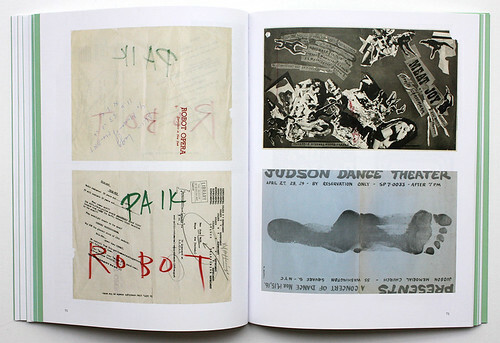 Invitations for exhibitions of work by Nam June Paik, 1964; Carolee Schneeman, 1964; and Robert Morris, 1964. Joan Jonas, 1976; Lucy Lippard, 1977; Merce Cunningham, 1977; Laurie Anderson, 1977; and Nancy Spero, 1976. 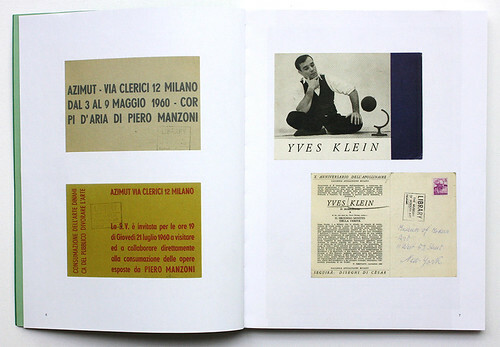 Piero Manzoni, 1960 and Yves Klein, 1957. Such design decisions demonstrate an awareness of the tension created when dealing with materials that originally functioned to point to the future, yet are now being shown in a project that consigns them to the past. 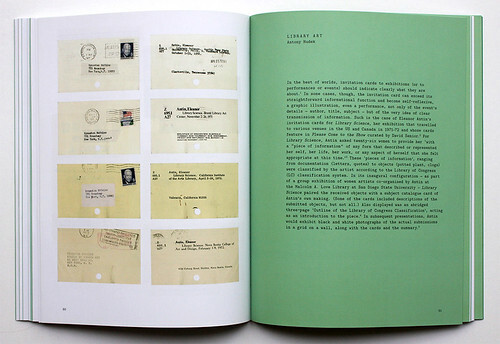 So the promise of an upcoming event inherent in the title – reversed out of the green uncoated front cover – is offset by a scattering of librarians’ rubber-stamped marks and pencilled annotations that record the moment when a piece of ephemera is filed away in an archive. The moment when the contents of a shoebox pass into public record. Eleanor Antin, ‘Library Science’, 1971-1972. This finishing point seems to imply that the challenge for any communicator is how to keep information ‘alive’ so every subsequent presentation compels us to re-read and understand the information afresh. With Sara De Bondt and Antony Hudek’s textual and graphic orchestrations, Please Come to the Show has achieved this with aplomb. Please Come to the Show edited by David Senior.